Diwali – a festival of light observed annually on the 14th day of the Hindu calendar month of Asvina is celebrated on Thursday (today), with Hindus offering special prayers at their homes and in temples.The word Diwali comes from the Sanskrit deepavali, which means a row of lights and symbolizes the victory of light over dark, good over evil and knowledge over darkness. Diwali is one of the biggest festivals in the Hindu calendar and there is a mythology behind it. The most popular narrative, based in the ancient Sanskrit epic Ramayana, is of Lord Rama, his wife Sita and brother Lakshmana returning to their kingdom Ayodhya after defeating the demon king Ravana. On that dark new moon night, the residents of Ayodhya joyfully lit oil lamps to welcome Rama, Sita and Lakshmana back to the kingdom. Lakshmi Puja is performed on the third day of Diwali. People start decorating their homes well in advance and light diyas and pray for wealth, prosperity and happiness of their loved ones. The occasion falls on the day of Amavasya which is normally termed as inauspicious day, but here it is regarded as the most auspicious one. According to the mythological myth, Goddess Lakshmi is god of wealth and beauty. She is also the wife of Lord Vishnu and bhakts offer gifts and grants for her auspicious blessings. People also think that the happier Goddess will be, the more she will grant her blessings on them. 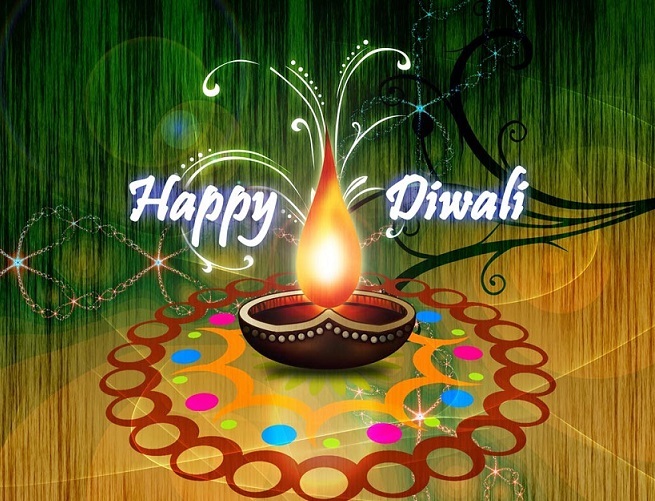 This day is the main event of Diwali and it’s extremely important to keep the house clean and tidy. As it is said that, Goddess visits and likes cleanliness. Lakshmi Puja is performed especially by women and business men and is also believed that Goddess visits and grants lot of wealth on the night of Diwali. The Bengali community on the eve of Diwali worship Goddess Kali.